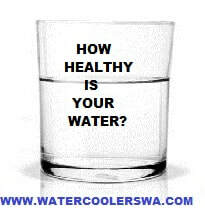 HOW HEALTHY IS YOUR WATER - AWESOME WATER COOLERS We can't live without water. what makes the water you drink "Healthy"? We can last weeks without any food but just a few days without water. between 6 -12 glasses of water each day. the average person requires 2 litres (8 glasses) each day. Drinking a good quality is very important. consume the chemicals mentioned above. Coolers advise to remove these impurities before drinking. ​is one of the most advanced filter system in the market. It not only removes most impurities from your own tap water but also very important add trace elements that your body requires like: Magnesium, Potassium, Iodine, Iron, Zinc etc..... Also the water will be a little more alkaline what is healthy for your body.